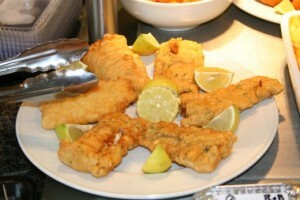 Finger Fish recipe by Zahrah Hamayun Alvi at DesiRecipes.com. Add salt , pepper, Ajinomoto and vinegar to fish and marinate for 4 hours. Dip the fish fingers in beaten eggs and cover with crumbs. Deep fry on medium heat till golden brown.